We compare ethnological views of Māori canoes (waka) of the first colonisation period with those of the European contact period, and then describe diverse archaeological waka from the interim period. The aim is to reconstruct basic design elements of whole canoes and to suggest their relative ages. Variations in form relate to differences in sailing ability and we refer to scientific performance testing of a range of model canoe hulls and sails. We find that through time technological change in waka correspond to other changes in New Zealand archaeology including demographic and social shifts, and the contraction of interaction spheres. The first canoe-builders in New Zealand adjusted to a new environment. The country became isolated within East Polynesia, but there were widespread communications and capable sailing canoes on the New Zealand coast. Through time, with a shift from multihulls to monohulls and changes in hull form, we see a general decline in the sailing performance of canoes and the development of new types more suited to paddling and downwind sailing. However, notwithstanding this trend, outrigger canoes which could sail well persisted into late pre-European times in both the north and south of the country. Irwin, G., Johns, D., Flay, R., Munaro, F., Sung, Y. and Mackrell, T. (2017) “A Review of Archaeological Māori Canoes (Waka) Reveals Changes in Sailing Technology and Maritime Communications in Aotearoa/New Zealand, AD 1300–1800”, Journal of Pacific Archaeology, 8(2), pp. 31-43. 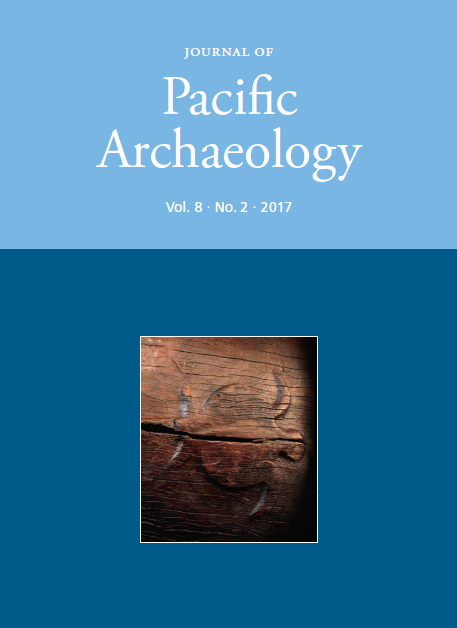 Available at: https://www.pacificarchaeology.org/index.php/journal/article/view/235 (Accessed: 22April2019).